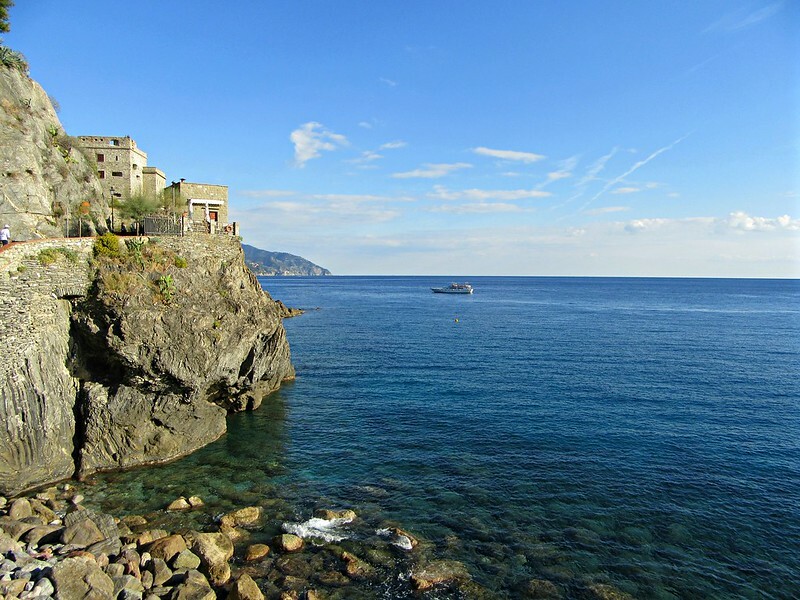 The sheer beauty of Italy’s Cinque Terre is indeed a sight for sore eyes. 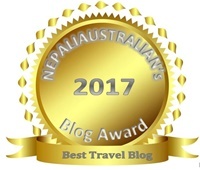 The pure magic of these ‘five lands’, each unique in their own way, is a worthy experience for any traveler. Located on the Italian Riviera between Genoa and La Spezia (the northwest corner of Italy), these magnificent cliff top towns rely heavily on tourism. All five fishing villages are a Unesco World Heritage Site and each town can be reached solely by train, boat or foot. 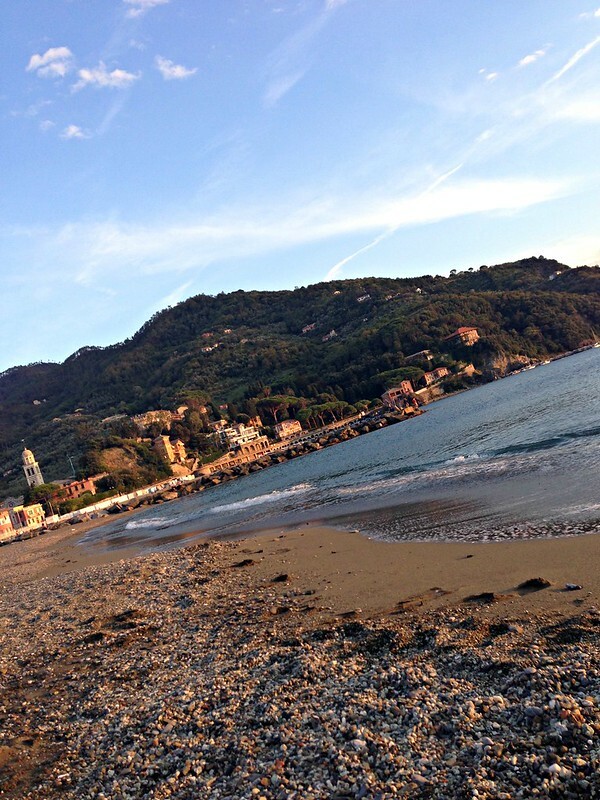 Our base was Levanto, a short five-minute journey by train from the first town of Monterosso. 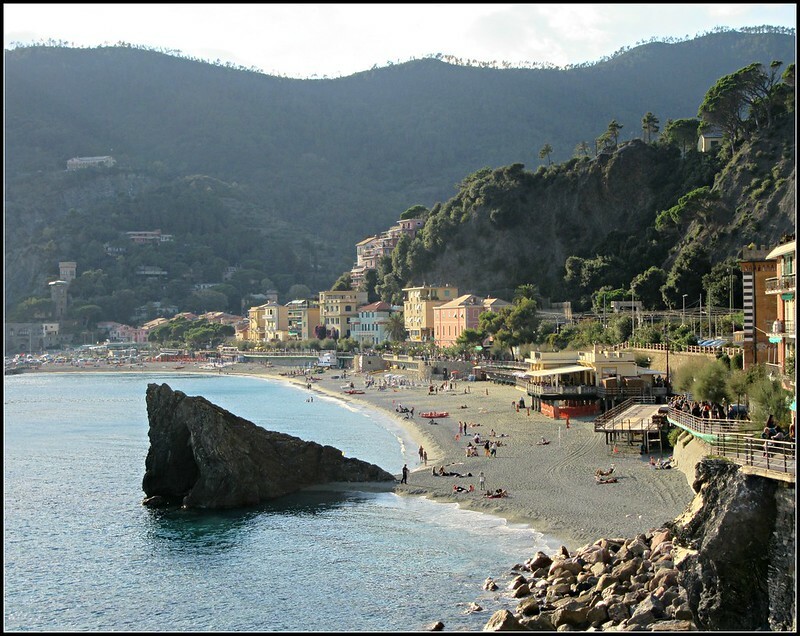 We allocated a day to explore the Cinque Terre and began at the furthest town from Levanto, Riomaggiore. Being late September, the heavy tourist crowds of the summer holiday period had subsided, however the trains that connected each of the towns were still overflowing with eager sightseers. 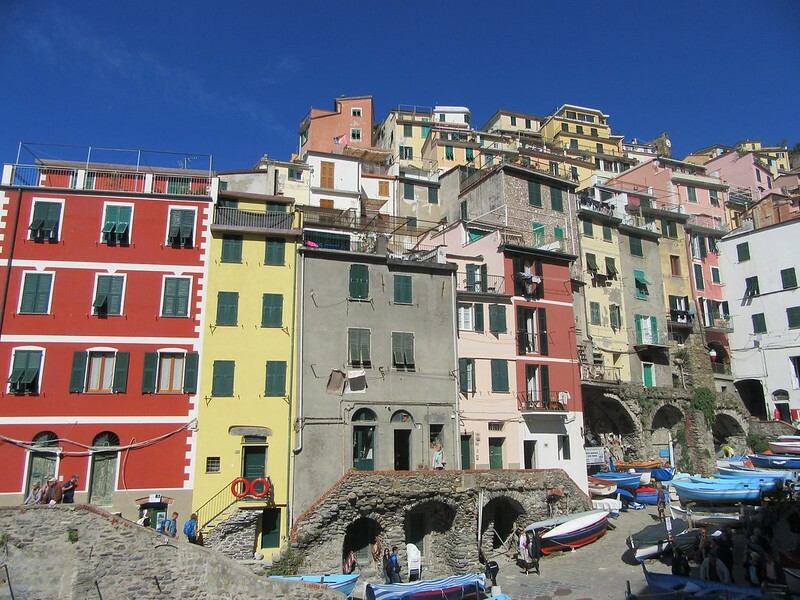 The parade of tightly wedged coloured houses perform in typical Ligurian style over the little harbour of Riomaggiore. 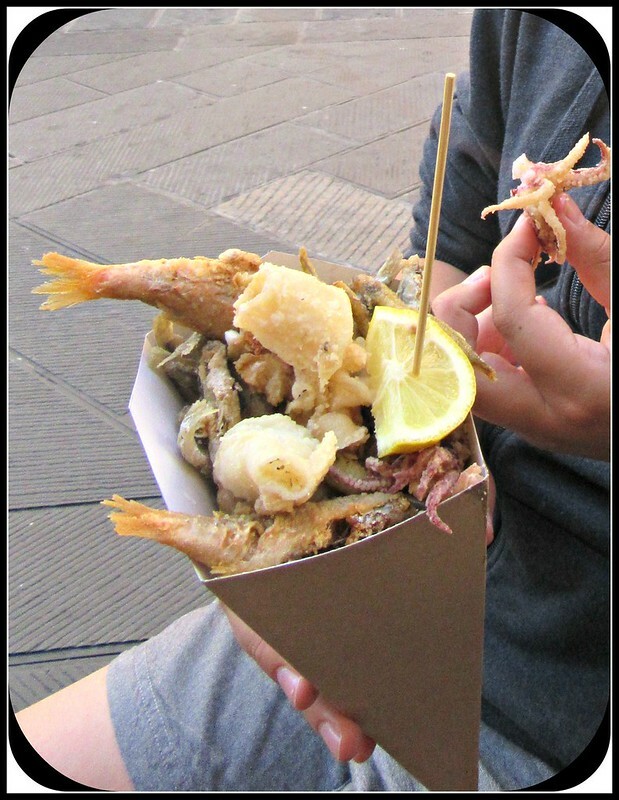 Walking through the narrow streets of Riomaggiore, the local specialty… “Cono di fritto misto”, fried seafood cones, is just waiting to be discovered. If you enjoy your seafood, then these appetizing take away snacks are highly recommended. The crispy batter that coats the freshly caught fish and calamari, simply melt in your mouth. 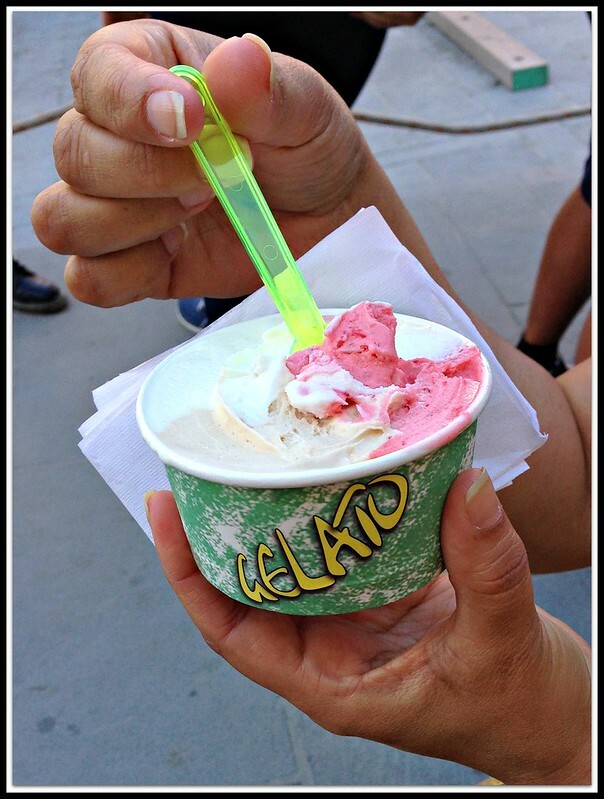 Additionally, what other better way to complement your fritto misto, a gelato of course. 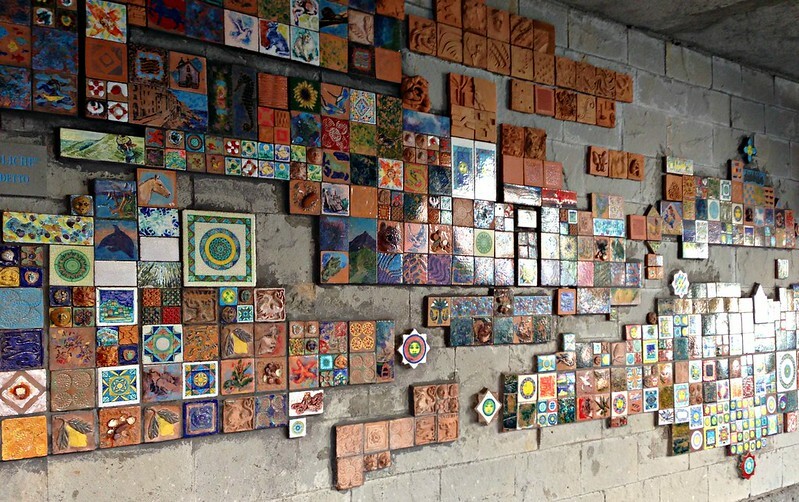 Unfortunately, the famous path “via del amore” which connects Riomaggiore to the next town of Manarola was closed. This scenic rock faced trail commonly referred to as “lover’s lane” is only a short 20 minute walk. The charming Manarola also possesses a tiny harbour reflected by the kaleidoscopic houses along the rugged coastline. In the middle of the five towns sits Corniglia. 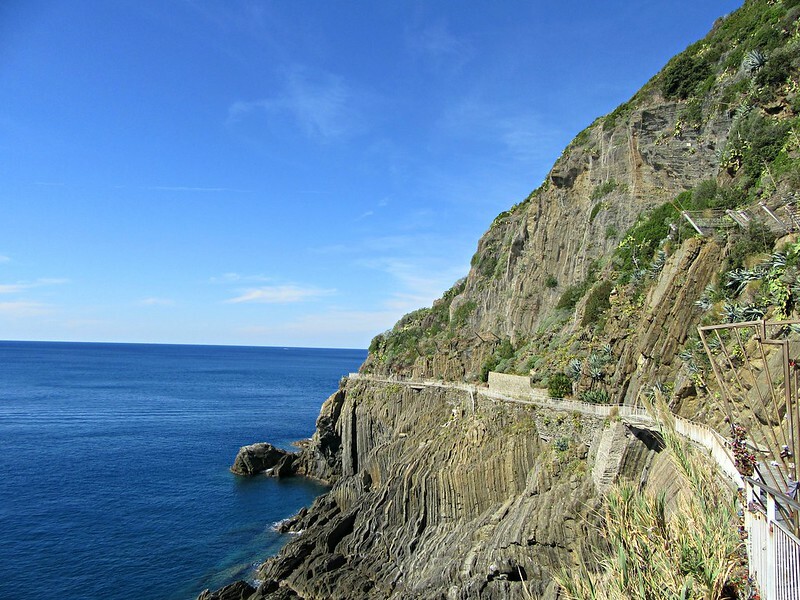 Unlike it’s coastal neighbours, Corniglia is located high on a cliff 100 metres above sea level. There is no port in Corniglia, therefore it can only be reached via train or foot, and it is the quietest town of the five. 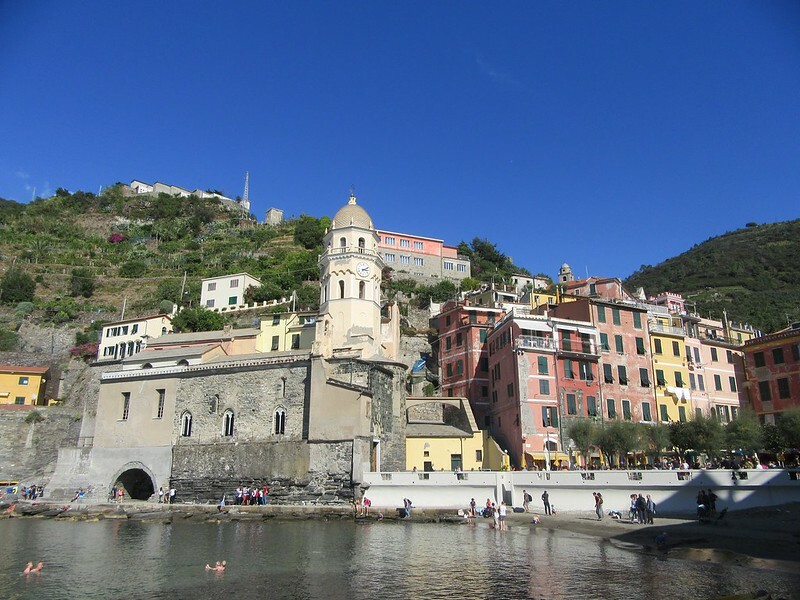 The stunning town of Vernazza is where we spent a fair amount of time absorbing its beauty and grace. Vernazza is the most photographed town of the Cinque Terre and rightly so. The vivid colours are a spectacular display just as a rainbow. With the glorious sun blazing down, the water still remained too icy for a swim, though it did not stop some! While sitting on the sun warmed rocks and dipping our feet into the cool crystal waters of the Ligurian sea, we watched a young newly married couple sail around Vernazza’s tiny harbour, photographing and capturing the moment of their special day. 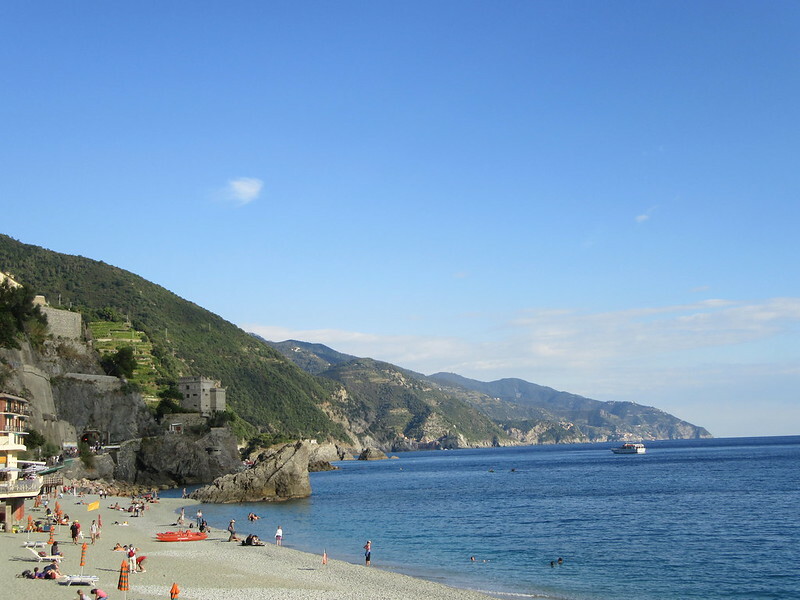 Moterosso is the largest town of the five and the only town to have a sanded beach where you can rent chairs and umbrellas in typical Riviera style. The town is actually separated into two sections, old and new. 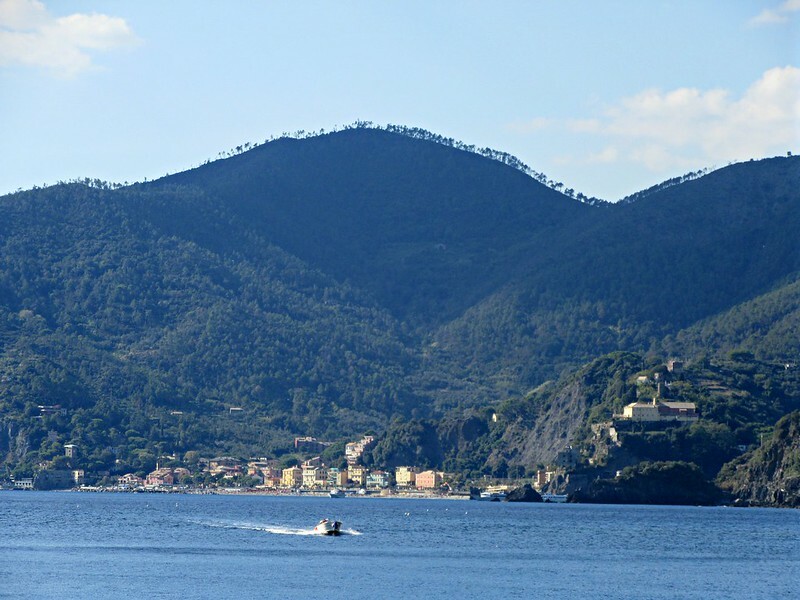 Monterosso offers a wider choice of accommodation, cafés and restaurants and also playgrounds for children. Walking along the coast and taking in the serenity of such peaceful surroundings was surreal. I was genuinely captivated by the intensity and vibrancy of these charming picturesque cliff top towns. Cinque Terre is definitely a place like no other!